Mar 21, 2015 . . .
Tehran, with a population of around 8.3 million and more than 12 million in the wider metropolitan area, is Iran’s largest city, and the largest in western Asia. 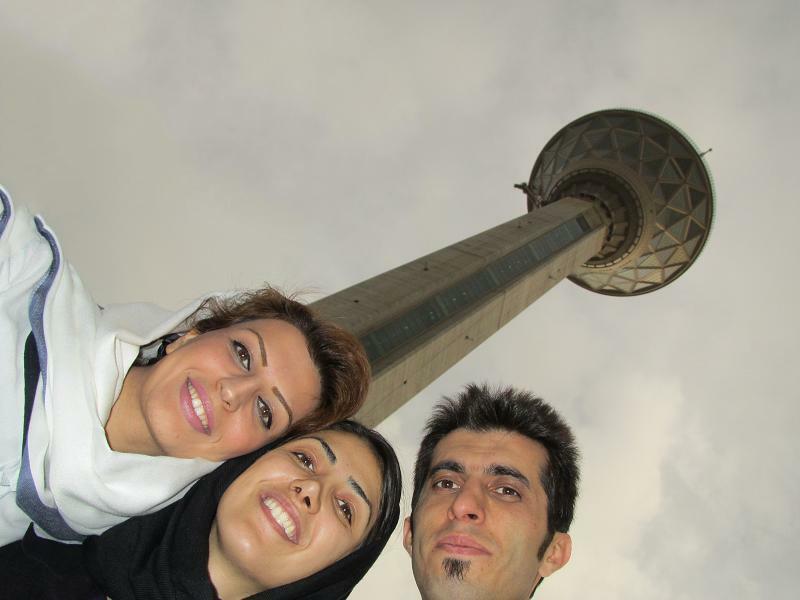 Like many capitals, people flock there from across Iran to find work, study, and enjoy the benefits of a metropolis. But when it comes to Nowruz, the Iranian new year, schools, universities and many businesses close. So most people take the opportunity to leave the city and visit their family and relatives. The new year break, which begins on the first day of spring and can last up to 14 days, is the busiest travel time of the year in Iran. Hundreds of thousands Tehranis leave the city during the holiday. 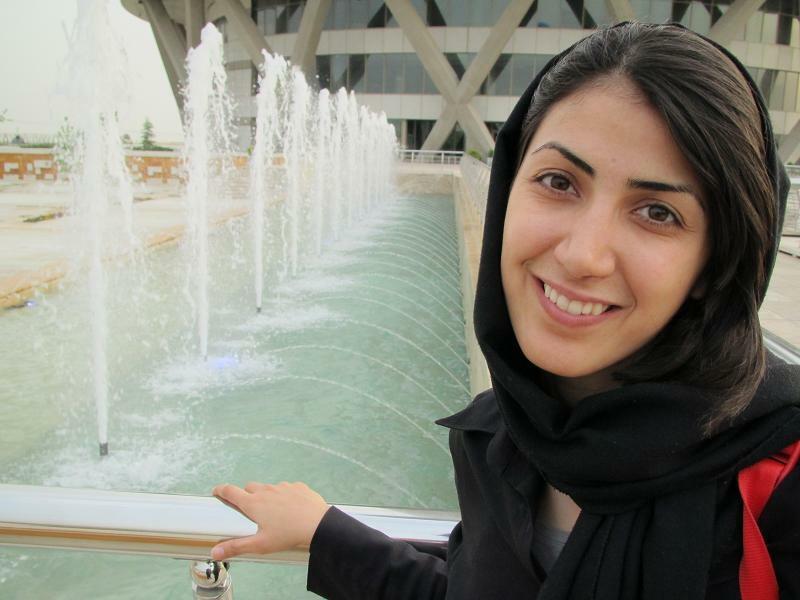 Rana moved to Tehran as a student, where she later secured a good job and eventually married. “We usually travel to Mazandaran in the north during Nowruz. After that, we start our road trip to other parts of Iran. We don’t like to stay in the same city where we work”. Though Iranians all over the country travel during Nowruz, Tehranis travel more than other Iranians. Asghar Rahimi, head of Iran’s official tourist board, says many people take the opportunity to their hometowns, but also to explore other places in the country or abroad. 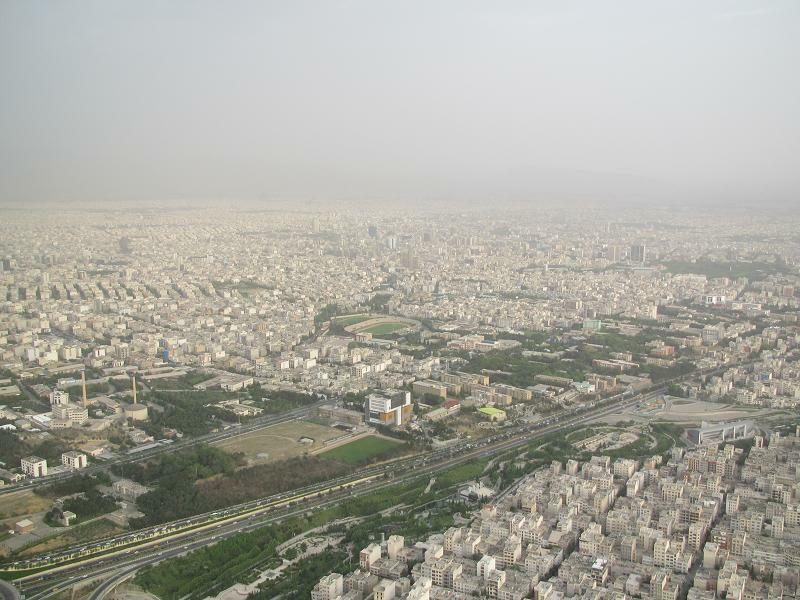 Like many capitals, Tehran is essentially an industrial city. And, like many other industrial metropolises, it faces a range of challenges — especially when it comes to efforts to make it a world tourist destination. Pollution, traffic congestion, chronic overcrowding and chaos make Tehran less than appealing during many months of the year. But during the Iranian new year, it has real potential to be a top destination. Suddenly, overcrowded streets are empty. For those who choose a “staycation” and avoid the hassle of travel, Nowruz offers the opportunity to explore and enjoy the beauty of Tehran, usually so hard to reach in the chaos. “Everywhere is too busy or too expensive to enjoy,” says Ramin. “I stay home. I think Nowruz is the only time of year when Tehran is enjoyable. The air is clean. There are no traffic jams; you can drive everywhere without paying the congestion fees. My friends and I go to restaurants, mountains or the countryside during Nowruz, or have house parties.” And increasingly, Iranians are choosing to come to Tehran during Nowruz from other parts of the country, hoping to catch the capital at its most beautiful. Tour operators still generally tend to advise international tourists against visiting Iran during Nowruz. “We ask foreign visitors to consider coming later, in April or May, or we tell them to just go to Tehran. This, by far, is the best time of year to be here,” says Iranian travel agent Abbas Hosseini. Outside the capital, hotels are fully booked up by domestic visitors, especially in popular cities like Shiraz, Kish, Mashhad and Isfahan. But in Tehran, there is room for tourists. The city’s climate is defined by its geographic location between the Alborz mountains in the north and Iran’s central desert in the south. The city is hot during summers and cold during winters. But, in spring and autumn, the weather is mild and pleasant. During spring, Tehran displays an assortment of different flowers, from tulips and pansies to roses and daffodils. The capital has a good range of hotels, restaurants serving national and international cuisines, museums, parks, and historic attractions, including palaces from the Safavid and Qajar dynasties, impressive towers and beautiful architecture — all giving a sense of the city’s rich heritage and diversity. Azadi Tower has been a unique and powerful symbol of Tehran for decades and marks the west entrance to the city. It is part of the Azadi Cultural Complex, located in Azadi [“Freedom”] Square, surrounded by fountains and grass, and is a favorite for tourists, who all have their photographs taken there. “A visit to Tehran is not complete without seeing the Azadi Tower,” says Ben from the Netherlands, who visited Tehran recently. “It’s the perfect location for nice pictures, with the Alborz mountains in the background,” he wrote on TripAdvisor. 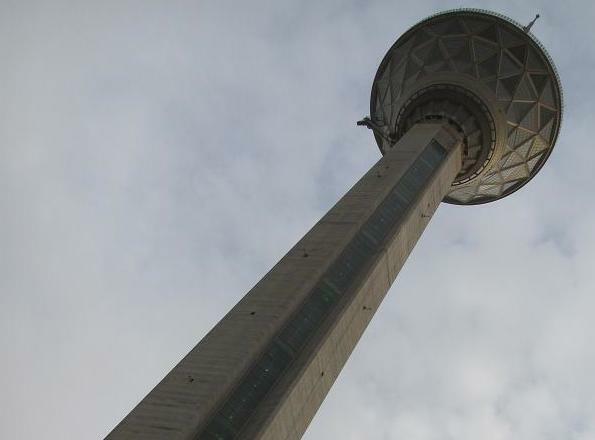 Milad Tower, the 6th tallest telecommunication tower in the world, has become, since its erection in 2007, the other major symbol of the capital. Part of the Milad complex, it includes a five-star hotel, a luxury restaurant and the international trade center. The Milad restaurant claims to be the largest revolving restaurant in the world, at a height of 276 meters. “The spectacular view of Tehran from the tower makes it different from others, it’s amazing” says Mahsa, a 25-year-old Tehrani. The National Jewels museum, located in the basement of the National Bank of Iran, displays an impressive collection of some of the most famous jewels in the world, many of which were given to Iran’s kings during the Safavid era (1501-1722). The largest museum of history and archaeology in the country, the National Museum of Iran, contains 300,000 objects and monuments in an area of more than 20,000 square meters. With its extensive collection and impressive monuments, it ranks among some of the most prestigious museums in the world. Persian carpets are popular around the world, so the Carpet Museum is tempting for many. The museum displays around 100 carpets from the 19th and 20th centuries. The Tehran Museum of Contemporary Art is also in the city centre, in Laleh Park. The building itself is a good example of contemporary art. Tehran boasts the Golestan and Niavaran Palaces, two of the most famous from the Qajar Dynasty, and the Saadabad Palace, built during the Pahlavi dynasty. Of these, the Golestan Palace is the oldest. “I visited 12 museums in Europe and Asia in a month and this was one of my favorites,” said Alexandre, a Brazilian tourist. Writing about Niavaran Palace, he said, “We were lucky to visit this palace … Everything is stunning, and is still intact.” The palaces also have stunning gardens and grounds. But options for tourists in Tehran are not limited to indoor activities. The city also has several parks with rich histories. Park-e-Shahr, which spans 25 hectares and is the oldest park in Tehran, is located in the south. It is home to the Peace Museum, a lake, a bird garden and an aquarium. Mellat Park, the city’s most famous, is situated at the foot of the Alborz mountains and adjacent to Valiasr Street, the longest street in the Middle East. Niavaran Park, which shares a wall with the southern section of the Niavaran Palace, is arranged over several levels accessed by a series of staircases. Jamshidieh Park was established as a private garden in the Qajar period and became a public park in 1977, just before the revolution. Other parks include Saee, Chitgar, Taleghani, Shiyan, and Nahjolbalagheh. The Alborz mountains offer climbing and hiking opportunities for visitors. Tochal, Darband, Darabad, Kolakchal and Darakeh are among the most appealing destinations for hikers from Tehran. The Tochal complex has a ski resort and the peak is connected to Tehran by a seven-section gondola lift. There are a number of outdoor restaurants and cafes situated in the foothills of the mountains north of Tehran. Darband and Darakeh offer colorful fruit and food food stalls for visitors, as well as restaurants that stay open until one or two in the morning. Tourists can enjoy the food and scenery from the comfort of traditional seats, which are almost like carpeted beds in the middle of nature, sometimes with rivers nearby. Though it is understandable that people want to take a break from their normal city lives, it seems a missed opportunity that Iranians — and tourists from other countries — do not take advantage of the Nowruz holiday to explore Tehran during the quieter time of year. It has a lot to offer. During that time, the chaos subsides, making it possible to explore the city’s rich history and culture — and even relax.